It’s time for another What I Ate Wednesday. Unlike last week, this one is being published later in the week. I really wanted to post it Wednesday night. But since I had an appointment that evening from 7-8pm, I didn’t eat dinner till about 9:30pm. On to the eats! I went vegetarian in the city on you for the day. 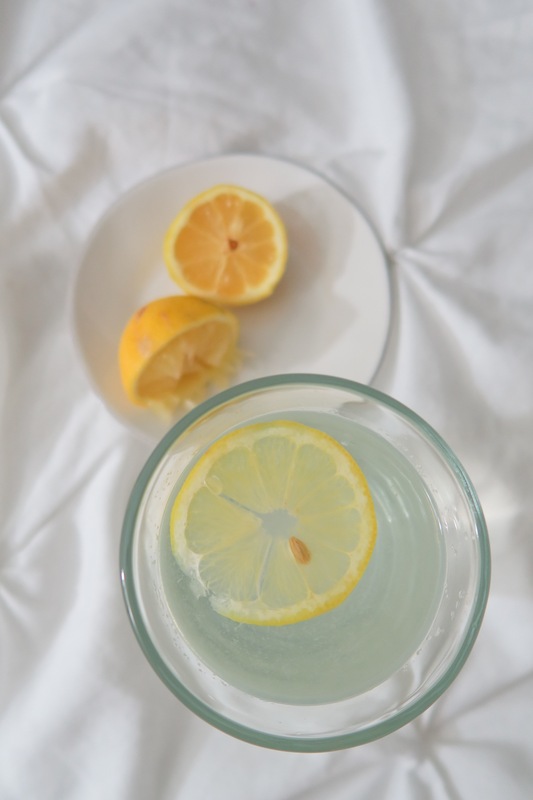 I started the day with a tall, refreshing glass of lemon water. This was with the juice of half an organic lemon. And I prefer my water without ice. What about you? Can you believe I didn’t have coffee first? #butsecondcoffee? My co-worker suggested a trip to Crave for bagels, and that sounded good. I went with a whole wheat everything, toasted, with plain cream cheese. Do you guys remember when I had “Bagel Day Monday”? That was my hack to get myself from eating bagels almost every day to just one day a week. It really helped me cut back on one of my less healthy favorite breakfasts. By having it on Monday, it became a special treat instead of being a mundane daily thing. 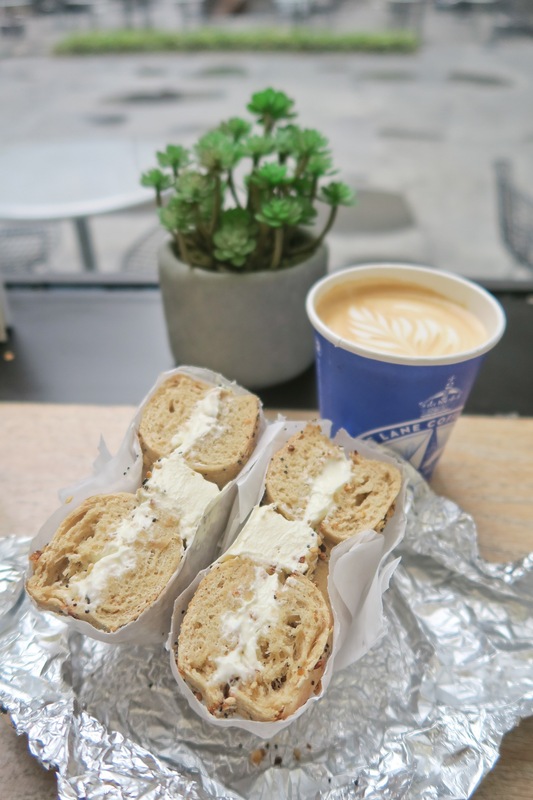 “Bagel Day Monday” was my way of getting the week started off with something good. I look at it as a weekly treat. And that gave me something to look forward to on a day that is not most office worker’s favorite. Of course, I also had a Bluestone flat white. I usually go for a meat side at Dig Inn, but this time I opted for the “Farmer’s Favorite”. With this, you get a base (I went with quinoa for extra protein) plus three sides. 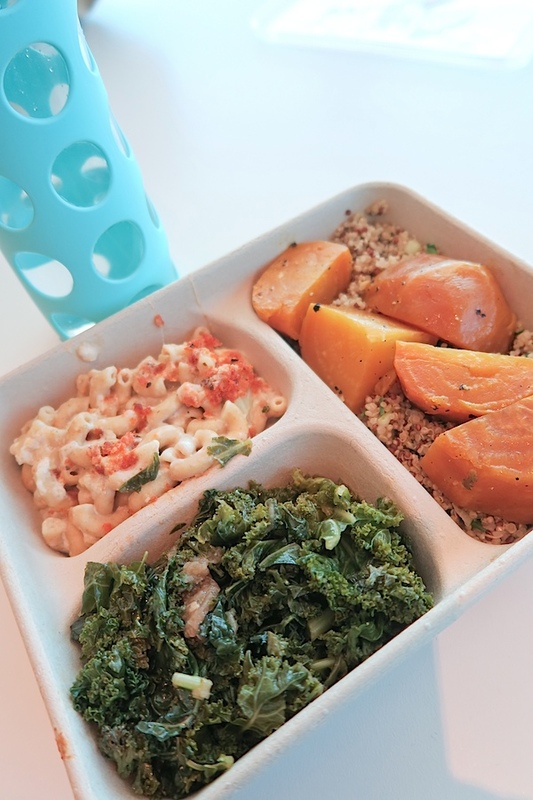 I chose: mac and cheese, kale, and golden beets. This was a super-filling and delicious lunch, and it only cost me $8. Not bad for Manhattan…or anywhere, really! I’ve been enjoying Tulsi tea since about 2010. It’s one of my faves. The classic is my go-to flavor these days. 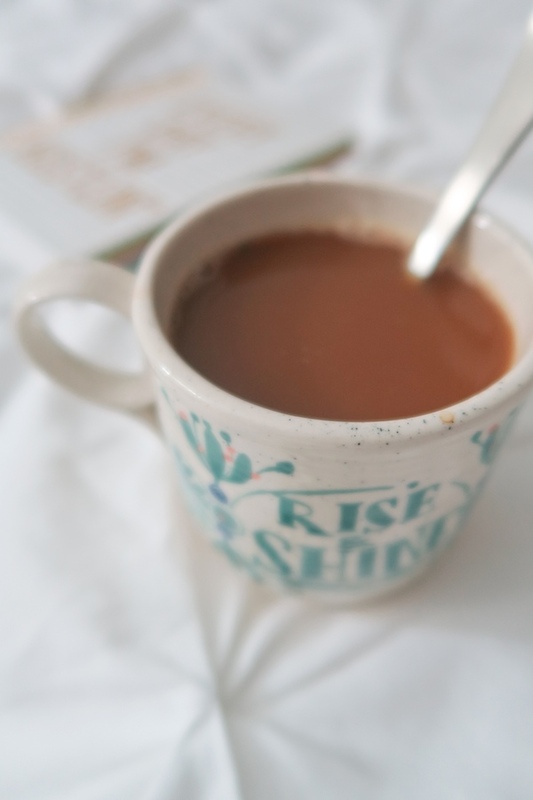 I love the flavor of tulsi teas in general, but I’m also intrigued with the many benefits the tea is supposed to yield, including helping with stress-relief. Definitely a good one to have at the office! Finding myself with some extra time between work and my physical therapy appointment, I decided to go to one of my happy places, Bluestone, for an anti-inflammatory golden latte. 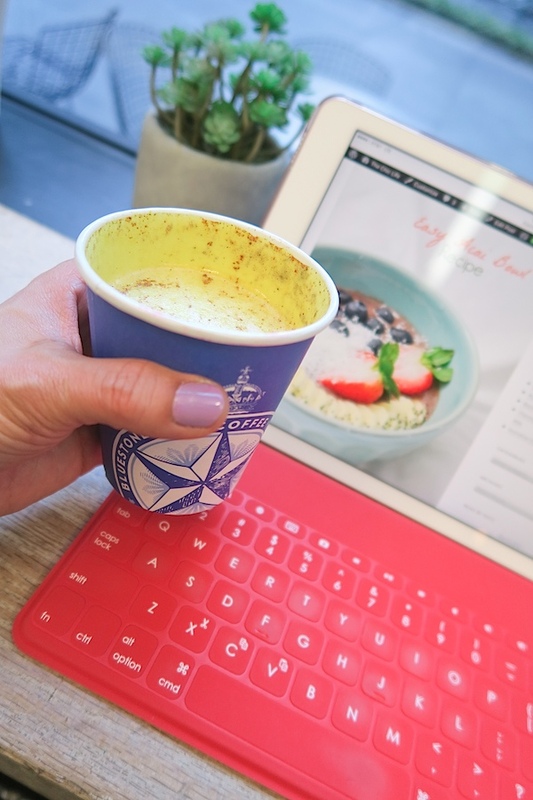 This way, I could spend some QT working on my upcoming healthy eating challenge. It’s really coming together, and I can’t wait to share it with you! 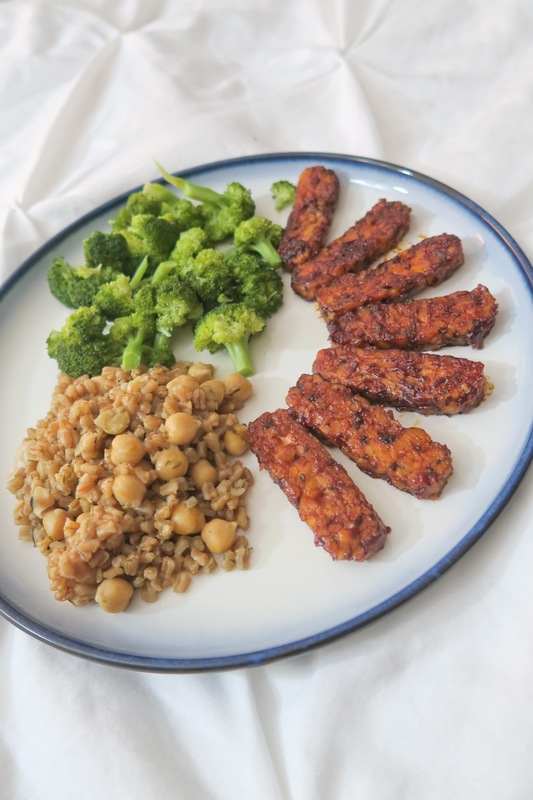 For dinner, I went old school and made one of my most popular recipes here on The Chic Life, BBQ Tempeh. This recipe should hardly be called a recipe. It’s that easy! I also made a variation of another The Chic Life recipe for farro. However, I was too lazy to dirty up another pan, so I tried to make a one pot version. It came out pretty good, but the flavor needs tweaking. If I nail it, I’ll definitely share it with you because it could be a most excellent side dish. Or even vegan/vegetarian entree. Since my physical therapy appointment was from 7-8pm, this was a later dinner. I probably shouldn’t have made the farro because I used a hearty version by Bob’s Red Mill. Alas, no quick cooking Trader Joe’s (10 minute!) farro. But, the bonus of this one is you get a really nice bite with the chewy grain. After dinner, I enjoyed a whole bunch of fresh fruit. 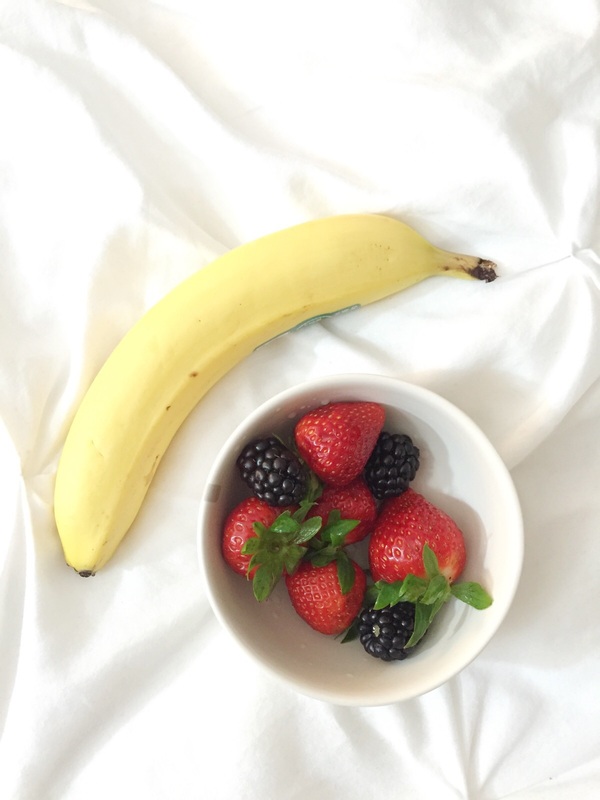 It was all organic – one banana, strawberries, and blackberries.